It has been far too long since I've spent time playing around with my old Pentax, but some recent accumulations have given me the little push I needed to start dabbling with the in's and out's of aperture and ISO and judging by the wrinkles on my hand in the final photo, i'm doing well on the macro side... Now onto the my mini assemblage, firstly, it is amazing what you can find in Charity Shops and i've quickly realised that my local Barnado's is a veritable treasure trove. I picked up this beautiful blue and white porcelain chest for a mere £1.99 and i've been lovestruck ever since. 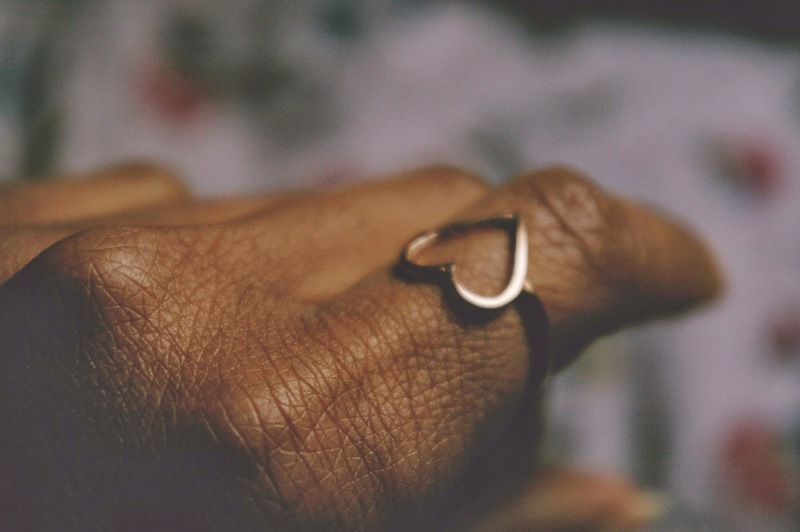 It sits on my dressing table and hold all my dainty bits and pieces that i'm prone to losing like these jewellery pieces from Rings & Tings. 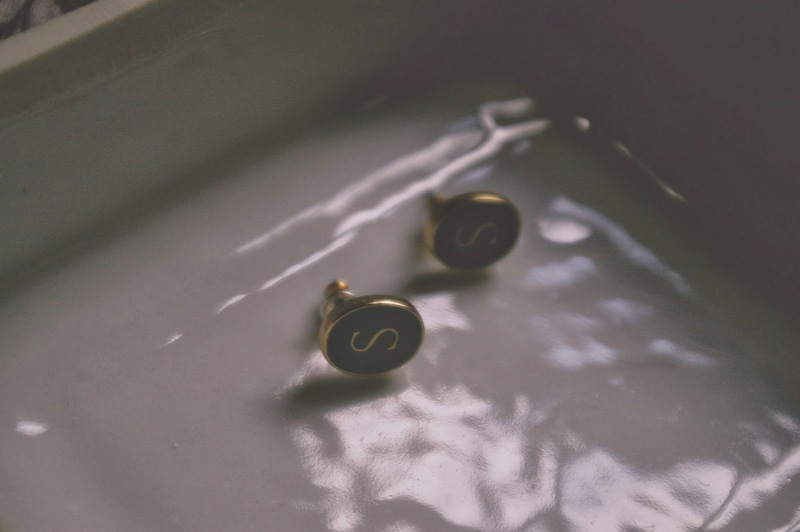 Although i'm a fan of bold (sometimes gaudy) jewellery, i thought these delicate pieces made a nice addition to my everyday jewellery wear and i still can't quite pick which piece I love most. 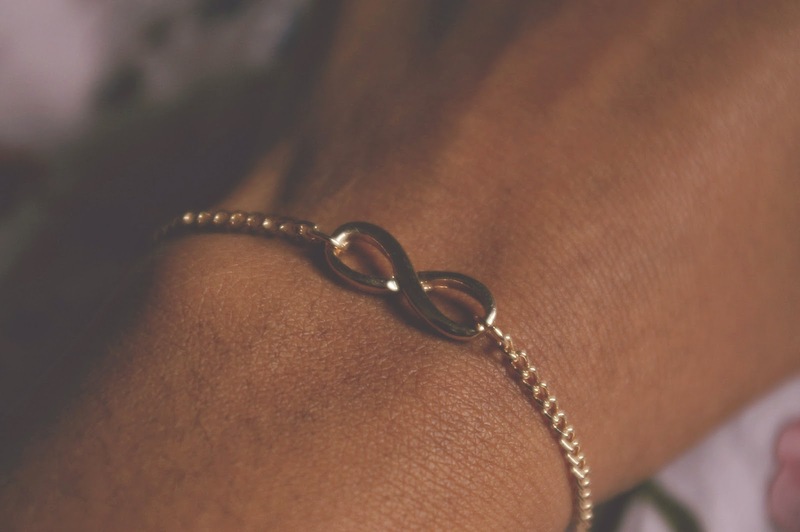 The infinity bracelet is just so darn pretty, as is the ring, but the earrings are especially beautiful, i love the yester-year style of them, plus i think i'm garnering a Kristabel-like love for things with the letter 'S' on them! 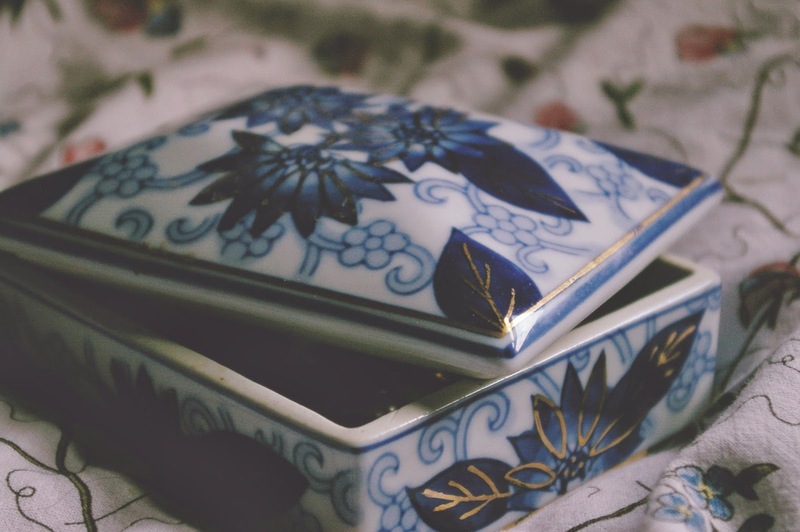 As a lover of trinkets, containers and your photography I really love this post. That's an actual hobby-combo. 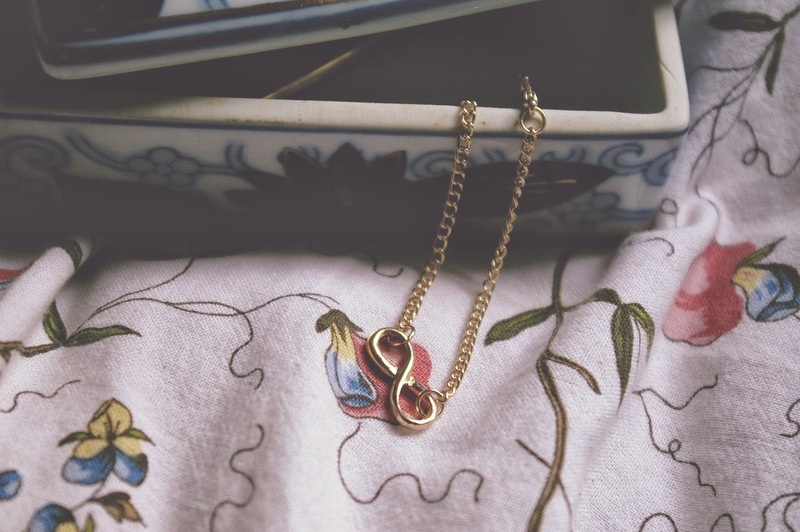 The infinity charm is babely.